It’s getting around to that time of year again: the season for stuffy noses, Kleenex stockpiles, and the eternal “call in sick” vs. “tough it out” debate. Most of us are dreading the approach of cold and flu season, but it’s not all bad: if you’ve bought any stock in Vitamin C supplements, the news this time of year is pretty good as everyone rushes into the drugstore for a quick “immune booster.” There are the regular pills, the gel caps, the chewables, the gummies…you can even get tablets that dissolve in water to make a citrus-flavored supplement drink. But does any of it actually help? Not really. Vitamin C is obviously important, and a deficiency is life-threatening, but there’s no evidence that taking more than you need will be beneficial, or that it will “boost” your immune system in any useful way. It’s a classic case of “too little is dangerous; enough is good; more is not better.” While it’s very possible that the RDA is too low, just by eating Paleo you get a lot more than the RDA almost by default, without even worrying about it. There’s no need to supplement, or to go out of your way in pursuit of Vitamin C-rich “superfoods:” eat a wide variety of fruits and vegetables, and you’ll be perfectly fine. For a tiny group of hydrogen and oxygen molecules, Vitamin C actually has a fairly interesting story. Biologically, humans are one of the few animals that can’t make our own Vitamin C: we’re totally dependent on getting it from food. In that respect, we’re in a tiny group of apparently unrelated animals that includes a handful of our fellow primates, guinea pigs, bats, and a few species of birds. We don’t really understand why this seemingly random group of species lost the ability to synthesize Vitamin C, while most other animals maintained it. But one thing is clear: before we even knew what Vitamin C was, we knew that we needed it. And we were all too familiar with the consequence of deficiency, a deadly disease known as scurvy. Given a reasonable choice of plant and animal foods, healthy humans will automatically select a diet with adequate Vitamin C. It’s not that difficult: fresh or raw meat, organ meats, or literally any kind of plant food will do. Even raw milk has a very tiny amount. But not everyone can always get a reasonable choice of plant and animal foods to pick from. In the days before refrigeration, soldiers and sailors were often deficient, because they had to live for long periods of time on preserved meat and grains, with no vegetables in sight. This diet was a perfect recipe for scurvy, the deficiency disease associated with inadequate Vitamin C intake. Starting with a brown skin rash, overall fatigue and weakness, and tender gums, scurvy progresses to open sores, bleeding from the mouth, tooth loss, depression, and eventually death. Plant foods – almost any kind of plant foods – would solve this problem. In 1530, French explorers in Canada treated the disease with a tea made from spruce needles. Sometimes, just a day or two in port (where sailors had access to fresh food) was enough. More famously, the British Navy stocked up on lemons and limes, after a pioneering series of experiments by naval surgeon James Lind in the 1700s. In the 1920s, the explorer Vilhjalmur Stefansson threw a wrench in “fresh fruits and vegetables” theory when he reported that the Inuit, who rarely ate plant foods, also did not suffer from scurvy. As it turns out, their Vitamin C came from animal organs: liver, adrenal glands, roe, and tongue, to name a few. Traditional cooking methods also helped: Vitamin C is present in raw muscle meat, but harsh cooking destroys it. So by cooking their meat very lightly, the Inuit were preserving the Vitamin C in it. In a year-long experiment, Stefansson and a friend lived entirely on raw or lightly-cooked meat without showing any signs of scurvy. Vitamin C (ascorbic acid) was named in 1928, and its chemical structure was finally determined in 1932. Finally, we had a name for the fickle “anti-scurvy factor” that seemed to lurk in raw, but not boiled vegetables, and raw, but not cooked meat. Today, thanks to the widespread availability of fresh foods, even the standard American diet isn’t bad enough to cause widespread scurvy. The few exceptions tend to be people who have other reasons to be malnourished, like alcoholics, dialysis patients, and the elderly. So what is this wonderful scurvy-preventing nutrient? Like most other micronutrients, Vitamin C doesn’t just have one job. It’s a powerful antioxidant, and a cofactor for several important reactions. It’s crucial for the formation of collagen, the tissue that makes up much of our joints and skin. Because your body can’t repair itself without collagen, wound healing is dependent on adequate Vitamin C status – that’s why people with scurvy notice open sores that don’t seem to heal. It also helps the body absorb and use iron (this is why anemia can be a symptom of scurvy even in people whose dietary iron intake is adequate). On top of these benefits, Vitamin C is an antihistamine: it blocks the release of the neurotransmitter histamine, which causes the uncomfortable swelling and inflammation of an allergic reaction. That’s why scurvy usually comes with a rash, and also why adequate Vitamin C status helps make allergic reactions less severe. 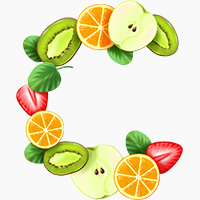 Today, Vitamin C is most famous for its role in the immune system. One major symptom of inadequate Vitamin C is impaired immunity. In response to the physical stress of an infection (whether acute or chronic), Vitamin C stores are rapidly depleted. And in study after study, people with more Vitamin C in their diets do better when they have to fight off just about any common disease. Everyone agrees that Vitamin C is important. But the question of how much you actually need is a little thornier. Just preventing scurvy doesn’t take very much. In experimental studies done on conscientious objectors during World War II, a dose as small as 10mg a day (that’s 1/10 the amount in one orange) reversed symptoms completely, and giving the patients up to 70mg a day didn’t provide any additional benefit. Not everyone agrees that “preventing scurvy” is the relevant standard, though. Simply avoiding an obvious deficiency isn’t the goal here; we’re looking for optimal health. Even people who never get diagnosed with scurvy can still suffer from a low-level inadequacy of Vitamin C, marked by fatigue, weight loss, and inexplicable aches and pains (this is sometimes called “latent scurvy”). None of that sounds particularly fun, so the ideal diet and supplement routine should prevent low-level deficiency as well as outright scurvy. So how much Vitamin C do you need for this? The USDA’s recommended daily intake is 75mg/day for women and 90mg/day for men, with an upper limit of 2g (2,000mg). This is much higher than many other recommendations: the World Health Organization, for example, sets 45mg/day as the standard. But there’s also some evidence that even the USDA’s estimate is too conservative. Some research indicates that consumption of up to 200mg/day (about twice the RDA) is best. There really is no good evidence that healthy people will benefit from getting much more than this, unless they have a serious deficiency to start with. And 200mg/day is easily achievable from whole foods alone. For example, just one serving of beef and broccoli stir-fry contains roughly 248 mg* – and that’s just one meal! If you’re eating as many fruits and vegetables every day as you ought to be, getting enough Vitamin C comes easy even with the more ambitious target of 200mg/day. Supplements, on the other hand, aren’t necessarily that useful. Besides the fact that you don’t need them to get the optimal benefits from Vitamin C intake, just popping more pills doesn’t actually mean you’ll absorb any more vitamins. Vitamin C is water-soluble, so if you eat more than your body can use, you’ll just excrete it. So the only healthy people who would potentially benefit from a Vitamin C supplement are people who were deficient to start with. Overload is not good just because deficiency is bad. Healthy people are one thing. Maybe additional Vitamin C doesn’t do anything for healthy people. But what about sick people? Any kind of infection drastically depletes the body’s Vitamin C stores, so it seems relatively logical that taking more Vitamin C when you’re sick might be providing your body with something it desperately needs. And then there are the anecdotal reports – an interesting handful of case studies feature patients making improbably miraculous recoveries with the aid of Vitamin C at extremely high doses. So could Vitamin C supplements be valuable as a kind of medicine, even if they aren’t useful in healthy people? The best-known advocate of high-dose Vitamin C for the prevention and treatment of disease is Linus Pauling, who won two separate Nobel Prizes in unrelated areas before going on to become obsessed with the idea that Vitamin C can cure everything from the common cold to terminal cancer. During the 1970s and 80s, Pauling argued fiercely in defense of his theory. This approach, known as “orthomolecular medicine,” advocated extremely high doses of vitamins not only for therapeutic treatment, but also for everyday use. Unfortunately, research done by pretty much anyone except Pauling has so far failed to validate his results. Despite the case reports, we have no solid evidence from actually controlled trials to suggest that Pauling had a point. The cancer connection is even more tenuous. Critics point out that Pauling’s original studies on Vitamin C and cancer were so poorly designed that they barely tell us anything. Most of the patients were trying several other “alternative medicine” therapies at the same time, so there’s no way to tell whether the effect (which was dubious in any case) was due to the Vitamin C or to something else. Other trials conducted with more scientific rigor have failed to show any benefit for cancer patients who take oral Vitamin C supplements, even at the doses Dr. Pauling suggested. A diet high in Vitamin C is associated with a lower risk of cancer in epidemiological studies, but this doesn’t mean much, since Vitamin C intake really means fruit and vegetable intake. This only proves that people who eat healthy are less prone to get cancer, which could be due to any number of factors besides the Vitamin C.
More recent research has shown a very slight benefit from extremely high intravenous (as opposed to oral) doses of Vitamin C, but it’s still nothing like the miracle cure Pauling promoted it as. At best, it’s a mildly promising therapy to use alongside chemotherapy and other methods. Pauling didn’t focus so much on heart disease, but Vitamin C has also been studied as a potential therapy for cardiovascular problems. If you’ve brushed up on the problems with demonizing cholesterol lately, you might remember that one of the reasons why cholesterol-fed rabbits are such a bad model for cholesterol-fed humans is that rabbits can synthesize their own Vitamin C, at much higher levels than humans get through diet. Because of the role Vitamin C plays in synthesizing collagen, the plaque in these rabbits’ arteries accumulates, but doesn’t rupture. So even when they get a lot of plaque buildup, they don’t get heart attacks from it. So could human heart attacks also be prevented by just consuming enough Vitamin C? This looks promising. But unfortunately, it doesn’t pan out any more than the cancer connection. A 2003 report on antioxidants found no particular benefit, and a 2006 meta-analysis of various vitamin and mineral supplements concurred: there just isn’t much evidence that Vitamin C per se (as opposed to Vitamin C-rich foods as whole foods) improves heart health. Finally, there’s the proposed protective effect of Vitamin C against age-related macular degeneration (AMD). In plain English, this refers to a specific type of vision loss that mostly affects the elderly. Because AMD is marked by very high levels of oxidative stress, it’s reasonably plausible that supplementing with antioxidants might help prevent the disease. Unfortunately, this is also a false start: a 2007 review found no evidence that Vitamin C (or any other antioxidant) can prevent AMD. In short, there’s just no strong evidence that Vitamin C is an effective treatment for anything but Vitamin C deficiency. So why the success stories? Many of these case studies and individual anecdotes (especially the less-dramatic cases involving minor diseases like colds and flus) may be simply due to the placebo effect. If you convince yourself that a pill will make you feel better, chances are very good that you will actually feel better regardless of whether the pill does anything or not. There’s also the fact that roughly 13% of the US population (as of 2004) is measurably deficient in Vitamin C, even according to the official standards. It’s easy to get enough Vitamin C if you eat plenty of fruits and vegetables, but not very many of us actually do that (unsurprisingly, deficiency was strongly correlated with poverty). In this 13% of the population, any additional Vitamin C would be beneficial. But that doesn’t necessarily mean that non-deficient people – which should include you, if you’re eating Paleo – will benefit from adding even more. Vitamin C: How Much is Too Much? In fairness to the advocates of high-dose supplements, many of the trials above don’t actually use the doses they would recommend. The cancer studies do, but many of the experiments on other diseases used a more moderate dose. So it’s theoretically possible that 10 grams of Vitamin C might succeed where 2 grams failed. On the other hand, Vitamin C isn’t a limitless good. It’s water-soluble, so it doesn’t build up like Vitamin A, but the process of getting rid of all that useless Vitamin C isn’t always painless. Extreme megadosing can have unpleasant or even dangerous side effects because your natural detoxification system (your liver and kidneys) then has to deal with it. Most commonly, very high doses of Vitamin C cause diarrhea. This isn’t terribly serious (unless you’re already sick and dehydrated from whatever you were trying to cure with the Vitamin C), but it is uncomfortable. More importantly, there’s some evidence that high Vitamin C intake might be a risk for kidney stones (although the studies here are conflicting). Supplemental Vitamin C, like any other supplemental antioxidant, also has the paradoxical effect of reducing the body’s own antioxidant defenses. It’s basically training your body to rely on the supplement, instead of forcing it to do its own homework. None of this is a case against getting Vitamin C from whole foods, or an argument that you should limit your fruit and vegetable intake. But all these potential drawbacks are points to consider if you’re looking for a safer alternative to conventional medicine and think Vitamin C might fit the bill. Just like any treatment, it’s important to consider both the pros and the cons. It may be natural, but that doesn’t mean it’s harmless! To make a long story very short, if you’re eating fresh fruits and vegetables at every meal, you don’t need to supplement. Excellent dietary sources of Vitamin C include common foods like red peppers, strawberries, and broccoli. If you’re looking to maximize your intake, a good precaution is to eat vegetables raw or very gently cooked: high heat destroys the vitamin. 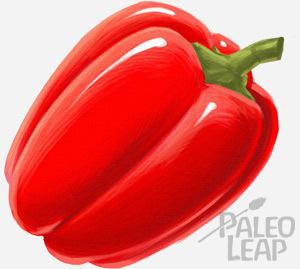 But most people should be getting plenty of Vitamin C on Paleo without any particular attention to it. 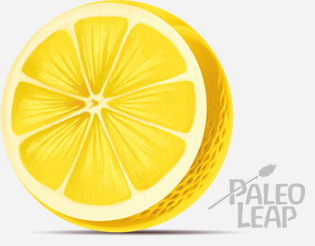 In fact, Paleo will even help you absorb more Vitamin C from the foods you do eat. Glucose competes with Vitamin C for absorption, so if you have chronically high blood sugar from a grain-based, carb-heavy diet, your absorption rates will be low. Eating healthy amounts of “safe starches” without overloading on the carbs allows blood sugar levels to stabilize, and maximizes Vitamin C absorption. From an evolutionary perspective, this makes perfect sense: humans evolved our need for dietary Vitamin C long before the advent of vitamin supplement pills, so it hardly makes sense that we would be dependent on doses beyond what we could reasonably get from food. The research into high-dose Vitamin C therapy is interesting in an experimental sense, but it just doesn’t make a persuasive argument for healthy people to take high-dose supplements. *That’s before accounting for vitamin losses in cooking, which are hard to estimate because they’re so variable. If you make a fairly high estimate that 25% of the C is lost in the pan, you’re still getting 186mg per serving.